Which is more than can be said for me. In 2018 I managed just 10 rounds, though I’d wager that no one made a greater balls-purchased-per-round contribution to Titleist’s bottom line. When you seem destined to forever top the Strokes Gained Lost Balls category, it tends to slow one’s haste to the tee. At least my tally of courses played is like the guest list at Augusta National’s Tuesday night Champions Dinner: low in quantity, high in quality. 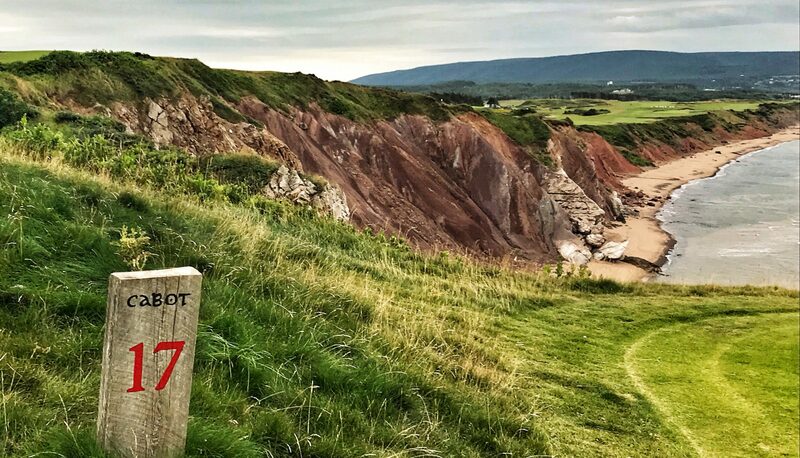 There was a birthday round on the Old Course; tours of Kingsbarns and Cabot Cliffs; and a visit to Sand Valley in Wisconsin for the opening of David McLay Kidd’s Mammoth Dunes course, the gargantuan fairways of which didn’t stop me losing four balls. Only one of those 10 rounds saw me finish with the same ball I began with. That was at Shoreacres, in Lake Bluff, Ill. The Seth Raynor masterpiece was the finest course I saw for the first time in 2018. My summer visit to Scotland lingers for reasons beyond playing the Old, a day concluded by scaling a cemetery wall in the wee small hours with Mr. and Mrs. Brandel Chamblee to commune with the Tom Morrises, Old and Young. In Carnoustie for the Open Championship, I developed mild appendicitis, which can often be confused with the grisly after effects of eating Scottish food. Symptoms faded and the offending organ was removed a week later back home in New York City. A couple of weeks later, my surgeon greeted me at his office with the same sympathetic look that caddies wear when handing me a provisional on the tee. Pathology revealed my appendix had been cancerous, discovered incidentally at an early stage. Cue more (precautionary) surgery and, eventually, a clean bill of health. Random appendicitis may have fortuitously saved my life. I may have to reconsider my long-held view that Carnoustie is the most charmless town on the Open rota. This year I watched Reed and Molinari and Koepka win their majors but one particular episode from the Tour sticks in my mind. It was back in March at Bay Hill in Orlando, when Rory McIlroy won the Arnold Palmer Invitational for his first victory in 18 months. But it had nothing to do with the manner of his win. Exiting the final green to cheers and backslaps, McIlroy was ushered into a tunnel that ran beneath the grandstand to the scorer’s office. He shared a quick hug with his manager, Sean O’Flaherty, and with Golf Channel presenter Kelly Tilghman, who was signing off the network for good that evening. As a phalanx of Tour officials and security guards hurriedly swept him onward, McIlroy heard Tilghman attempt to introduce her young daughter. He turned back and broke free from the scrum. At the other end of that tunnel were waiting PGA Tour executives, tournament grandees, a mass of fans, hours of media obligations, friends, family and a check for $1,602,000. McIlroy let it all wait. Instead he squatted down to spend a few moments chatting at eye-level with a shy six-year-old girl. When he eventually went on his way, the wide-eyed child turned to her mother, awestruck. It was a brief moment witnessed by only a few and probably forgotten by most, perhaps even by McIlroy himself. You won’t see it on any highlight reels of the year that was. But it was a nice reminder that not only was Arnie’s trophy in good hands, his legacy is too.